Part# 0580254044. 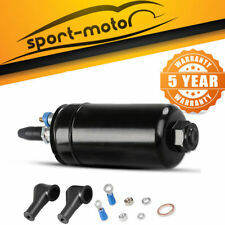 · Can be installed along with a high performance walbro intank fuel pump or alone. 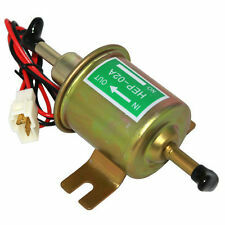 · Eexternal Fuel Pump x 1. Universal - Fits All Vehicles. · Internal Fuel Filter (already fitted) x 1. 01-04.5 6.6L LB7 GM Chevy Duramax Injector Banjo Bolt (Set of 8) COVERED BY (1) YEAR MANUFACTURER'S WARRANTY. ENGINE CODE 1 LB7 ONLY . 2001-2004.5 CHEVROLET SILVERADO 2500HD DURAMAX. 2001-2004.5 GMC SIERRA 2500HD DURAMAX. Fuel Injectors. 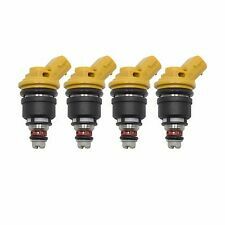 Performance fuel injectors. Injectors Kit. Quantity: 6 Fuel Injectors. TOYOTA 4RUNNER (1989 - 1995). Fuel Pump Module. TOYOTA PICKUP (1989 - 1995). TOYOTA T100 (1993 - 1994). Compatibility: FG1052 F3252A P76270M 2202-510484 E7241M SP7029M SP7048M FG0593 BS2141N. 2005-2010 CHRYSLER 300 V6-2.7L Module Assembly-Left. 2005-2010 CHRYSLER 300 V6-3.5L Module Assembly-Left. Condition: New Size: As pictures show 7pcs Hose end fitting: Size: -6AN Material: High quality Billet Aluminum 3pcs Stainless steel braided fuel hose: Material: 304 stainless steel CPE synthetic rubber 1pc Fuel pressure regulator: -6AN inlet ports and return port Support high power application: 300-800 hp Feature: 100% Brand new and high quality CNC billet aluminum, light weight and high performance Long life and high reliability operation Fitment: Universal Fit For Most Of Car Package included: 1 x Fuel Regulator with 3 ports- 2 inlets & 1 return 1 x Liquid Filled Fuel Pressure Gauge 100Psi 1 x AN-6 Port Plug 3 x AN-6 Straight Fittings with Flares 3 x AN-6 90 Degree Fittings with Flares 1 x Stainless steel fuel rail adapter 1 x Fuel Regulator bracket 3 x AN-6 Braided Stainless Stee. If there is a problem with the ternary catalyst, replacing the oxygen sensor will not solve the problem of the fault light. If the ternary catalyst has no effect, the data detected by the oxygen sensor will be abnormal. HYNDAI = CRDI. 4 Connecteurs. FORD = TDCI. OPEL = CDTI. RENAULT = DCI. NISSAN = DCI. PEUGEOT = HDI. Injecteur de carburant joint rondelle oring joint d'étanchéité (lot de 16 PCs). 207 1.6 HDI À partir De 2004. EXPERT1.6 HDI À partir De 2004. PARTNER1.6 HDI À partir De 2004. 3071.6 HDI À partir De 2004. 2006-2011 Honda Civic with 1.8L L4 (DX/DX-G/LX/EX)Engine. This Cold Air intake kit is compatible with Intake kit will usually increase 5-8 horsepower and 5-8 Torque and fuel efficiency. High Flow Air Filter that is washable and reuseable (DO NOT OIL THE FILTER). 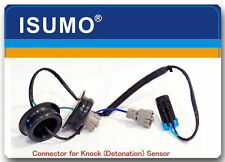 Commonly referred to as: FSD - Fuel Solenoid Driver or PMD - Pump Mounted Driver. 1994 Chevy Blazer Full Size V8 6.5L Diesel. 1995-98 Chevy C1500 Truck V8 6.5L Diesel. 1995-00 Chevy C2500 Truck V8 6.5L Diesel. 1320 Performance 3" cold air Intake for the 2015 Subaru WRX is constructed of full 3" Mandrel bent aluminum tubing, a custom aluminum airbox, and a dual cone intake filter. Mandrel bent and powder-coated red, the 3" intake tube and custom airbox look great in the engine bay and increase airflow potential substantially. Injecteur de carburant joint rondelle goujon oring joint d'étanchéité (lot de 24 PCs). Citroën Berlingo 1.6 HDi 110 - 90 - 75. Citroën Berlingo Camionnette 1.6 HDi 110 - 90 - 75. Airtex E7165M E7180M E7182M E7186M. 2004-2007 Dodge Ram 1500 Pickup V6 3.7L. 2004-2007 Dodge Ram 1500 Pickup V8 4.7L. 2004-2009 Dodge Ram 1500 Pickup V8 5.7L. 2005-2009 Dodge Ram 2500 Pickup V8 5.7L. 04-09 Mazda 3 & Mazdaspeed 3. The Basics are suitable for Mazdaspeed 3 owners interested in cost efficient mud flap protection without having to DIY (which can get costly sourcing materials, tools and hardware). HYNDAI = CRDI. FORD = TDCI. OPEL = CDTI. RENAULT = DCI. NISSAN = DCI. PEUGEOT = HDI. Part number: SG1847. 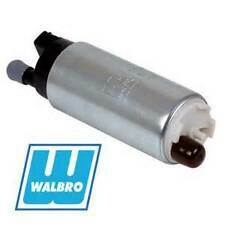 2003-2006 Acura MDX Downstream Front Bank V6 3.5L. 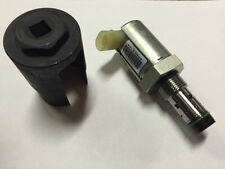 2005-2008 Acura RL Downstream Front Bank V6 3.5L. 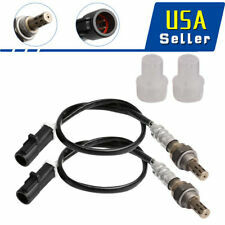 MASKOA Oxygen Sensor For Acura Honda Saturn. 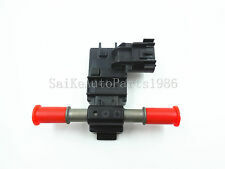 2004-2005 Acura TL Downstream Front Bank V6 3.2L. Part number: E8743M. 2012-2009 Suzuki Equator L4-2.5L. 2012-2009 Suzuki Equator V6-4.0L. 2015-2005 Nissan Xterra V6-4.0L. 2012-2005 Nissan Pathfinder V6-4.0L. 2016-2005 Nissan Frontier L4-2.5L. When replacing your carburetor, make sure to install new studs for a good seal to the manifold. Fastener Style: Stud. Stud Length (in): 3.25 in. Washer Included: Yes. Nuts Included: Yes. Fastener Nut Style: Standard hex. BMW e90, e91, e92, e93 and BMW X1 e84. Air Scoop V1 and V2 are designed for Simply unscrew the suction cover, insert the Air Scoop and the suction cover back. Item: left right air scoop. Enter the required Air Scoop color into your order. Carburetor Adapter. Part # 1933 Fits any 4-bolt - 4bbl to any 4-bolt - 2bbl manifold and/or 4-bolt - 2bbl to any 4-bolt - 4bbl manifold (except spread-bore applications) (will not fit Quadrajet). Measures 1" nominal height of adapter only without gasket. These carburetor adapter kits install quickly and easily. Gaskets, studs, nuts and washers are included. Adapters are made of diecast aluminum. .
(HONDA CR-V 1997-2001. 3) Perfect match for the original car. We provide part numbers and high resolution pictures. We provide OE quality auto parts with a low price. OE QUALITY AND COMPETITIVE PRICE. NEED HELP, GIVE US A CALL AT (305) 232-3433. The Mass Air Flow (MAF) sensor is located in the air duct between the air cleaner and the engines air intake. Location may be mounted to the throttle body or in the air cleaner housing. Item Condition: New, high quality and in good working condition. 2007 Dodge Ram. 2006 Dodge Ram. 2005 Dodge Ram. 2004 Dodge Ram. 1 x FUEL PUMP MODULE ASSEMBLY. Regular Cab 3.7L With Long Bed With 35 Gal. 1500 / 2500 / 3500 Regular Cab 5.7L With Long Bed With 35 Gal. 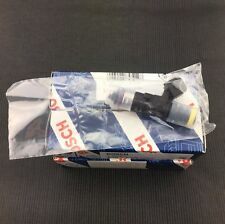 New Genuine Bosch 01-04 Duramax Diesel LB7 Fuel Pressure Regulator MPROP GM. 2001-2004 GMC SIERRA 2500HD DURAMAX. 2001-2004 CHEVROLET SILVERADO 2500HD DURAMAX. 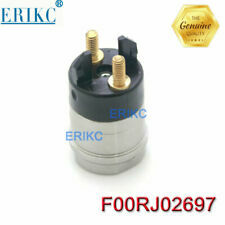 1PCS 0928400535Fuel Pressure Regulator. 2001-2004 GMC TOPKICK. Universal Manual Choke Conversion Kit Easy Install No. 5508 Instruction Included. One x 2000 - Liqui Moly - Fuel Additive DPFProtector. One x 20110 - Liqui Moly - Parts Cleaner. For use with LIQUI MOLY Spray Wand 7945. One x 20112- Liqui Moly - Parts Cleaner. Liqui Moly. DPF Purge Fluid 5171. 2009 Subaru Legacy 2.5L 2458cc H4 GAS FI. 2009 Subaru Legacy H4-2458cc 2.5L FI EJ253. 2008 Subaru Legacy H4-2458cc 2.5L FI EJ253. 2007 Subaru Legacy H4-2458cc 2.5L FI. 2011 Subaru Impreza H4-2457cc 2.5L FI. AcDelco Part # 43519. Direct Injection High Pressure Fuel Pump. Will Contain one of the following.